Mrs. Kehler of North Kildonan is being punished and forced to clean up after the next five faspas when it was discovered that she had not been keeping up with her devotions. 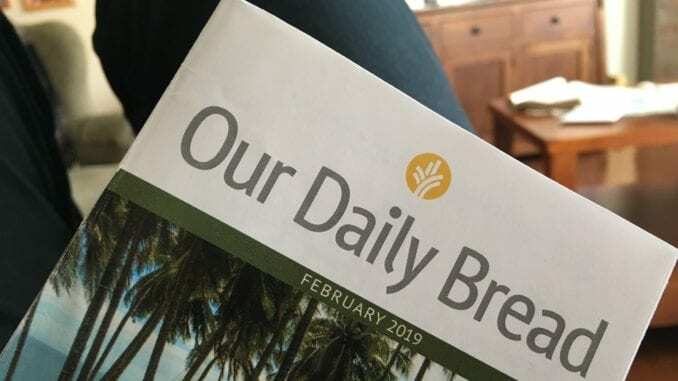 The scandalous information was brought to light after Mrs. Hoeppner noticed Mrs. Kehler’s copy of ‘Our Daily Bread’ was sitting on the coffee table, open to some page in the middle of February. Mrs. Kehler tried to quickly pocket the book, but it was too late. Mrs. Hoeppner had already seen just how far behind she was. 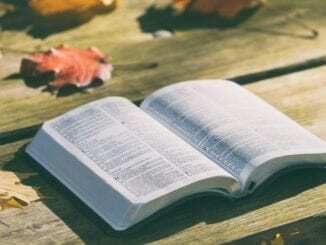 At first Mrs. Kehler tried to explain that she was just going back to revisit some of her favourite devotions from the past month, but Mrs. Hoeppner wasn’t having any of it. In an effort to avoid the inevitable church discipline, Mrs. Kehler plans to binge-read the past month’s devos to get all caught up.